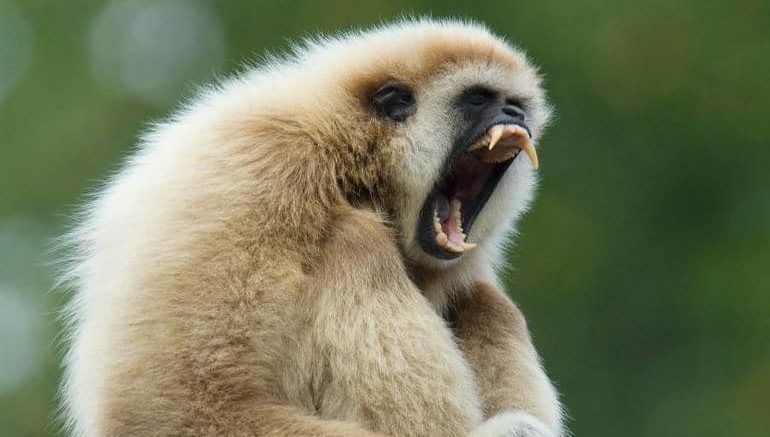 The remains of an extinct species of gibbon, which until now was unknown to science, has been discovered in an ancient Chinese tomb. The primate, which is being called Junzi imperialis, was found inside the 2,300-year-old tomb of Lady Xia, the grandmother of China’s first emperor Qin Shi Huang. All of the world’s apes – chimpanzees, gorillas, orangutans and gibbons – are threatened with extinction today due to human activities, but no ape species were thought to have become extinct as a result of hunting or habitat loss. However, the discovery of the recently extinct Junzi changes this, and highlights the vulnerability of gibbons in particular. What’s outstanding about this study is that it represents a unique genera, that it’s something that is genuinely new to science. But it also represents the first known human-driven primate extinction that we know of as well. We thought that they had historically been much more resilient to human effects, but in fact they’ve actually been suffering for much longer than we thought. This will hopefully highlight the plight of gibbons and other primates in particular. Located in Shaanxi Province, in the north-central part of China, the 2,300-year-old tomb of Lady Xia basically houses an ancient zoo. Apart from the partial skull and jaw of the now-extinct gibbon, the pits inside the tomb held the skeletal remains of cranes, lynx, leopards and an Asiatic black bear, among other creatures. Historically, unlike monkeys, gibbons were considered to be noble members of the primate family and were often kept as luxury pets by the imperial Chinese. In fact, “Junzi” means scholarly gentleman, which in turn points to the higher status of gibbons among other primates in China. Originally uncovered in 2004, the fossils were kept at a museum in China, which was where Turvey found the ape skull five years later. 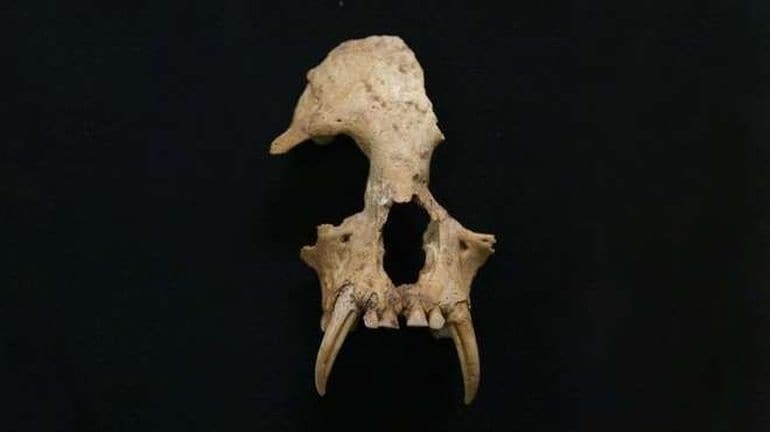 Because it looked somewhat different from the skulls of extant gibbon species, Turvey, along with University College London evolutionary biologist Helen Chatterjee, decided to investigate further. The duo created an extensive database comprising skull and teeth dimensions of species from all four genera of gibbons. To that end, they studied and measured 477 skulls and as many as 789 teeth. While comparing the fossilized skull with the database, the team discovered that the now-extinct Chinese gibbon had a larger brain as well as narrower cheekbones than the existing species. Additionally, the grinding surface of its molars was also found to be larger than the average. This, in turn, led the researchers to believe that the ancient gibbon could have been a different species altogether. However, apart from the features mentioned above, scientists have been unable to uncover much information about the ape. Others from the scientific world have questioned whether calling it a new species is correct. According to New York University biological anthropologist Terry Harrison, for instance, the abnormalities in the gibbon’s skull and jaws could just as well be because it was a captive animal. While DNA analysis might have helped dispel the confusion, museum officials have decided against it, given the fragile state of the fossil. Our historical data shows that these factors caused a southward shift of gibbons towards their present-day distribution which is restricted to the very far south of China – and in the case of Junzi, its eventual extinction. Historical records suggest that gibbons might have lived in and around central China more than 2,000 years ago. However, around 300 years ago, they vanished from the region when the forests were cut down to make way for agricultural land. This, coupled with pet trade, was what led to their demise, researchers believe. The smallest among the apes, gibbons are mainly found in tropical and subtropical rainforests across Asia, including eastern Bangladesh, northeast India, southern China and Indonesia. Although historically containing only one genus, the gibbon family is currently split into four genera. These four genera, in turn, contain 18 species such as the siamang, the white-handed or lar gibbon, and the hoolock gibbons. At present, most species of gibbon fall under the endangered category as a result of the destruction of forest habitat, hunting and illegal trade. In fact, all Chinese gibbon species are currently categorized as Critically Endangered by the International Union for the Conservation of Nature. As per Hansford, only around 26 Hainan black-crested gibbons – a species endemic to Hainan Island in China – are present in the world today. We now know almost exactly if we don’t deal with this double whammy of habitat destruction and hunting. Eliminating one without the other is not enough. I hope we can highlight the plight of the living gibbons as well. We use the past to help understand the modern era and look to the future as well, so we can start to conserve what we have and regenerate the things we’ve lost.